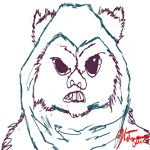 Rebel Legion :: View topic - Show Us Your Ewok Builds! 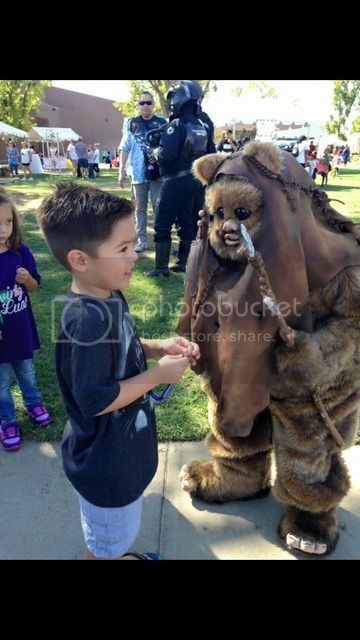 Posted: Mon Dec 22, 2014 1:14 am Post subject: Show Us Your Ewok Builds! I completed YubNub, my five foot nine Ewok, last year in the summer months. Before winter, she was destroyed by a 4 month old puppy with separation anxiety. With only about three troops under her belt, I shoved her in a corner for 6 months. Finally, just a few days ago, I figured out some of my design flaws, sacrificing my seamless look for some more airflow and debuted her at StarWars Night at a local hockey game. It feels good to have her back, all though, I miss her old facial design, because it was my first completion of her. I like this one too, but I would rather just start completely over with a new Ewok. Not remake her, persay, but I want to make another Ewok. Two, actually. A sith(Gray Ewok) and a Non-formal character(Striped Ewok). 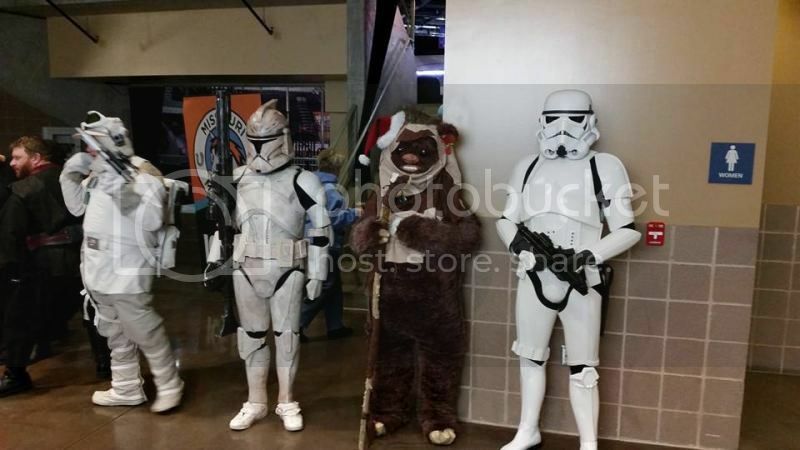 Show everyone your Ewok troop pictures! You can never have too many Ewoks running around, right? Let alone, one as big as YubNub. Any Other Ewoks that are not short and get the comment, "Aren't you a little big to be an Ewok?" Anybody else suffer from this curse? It is NOT luke warm inside of a tauntaun! 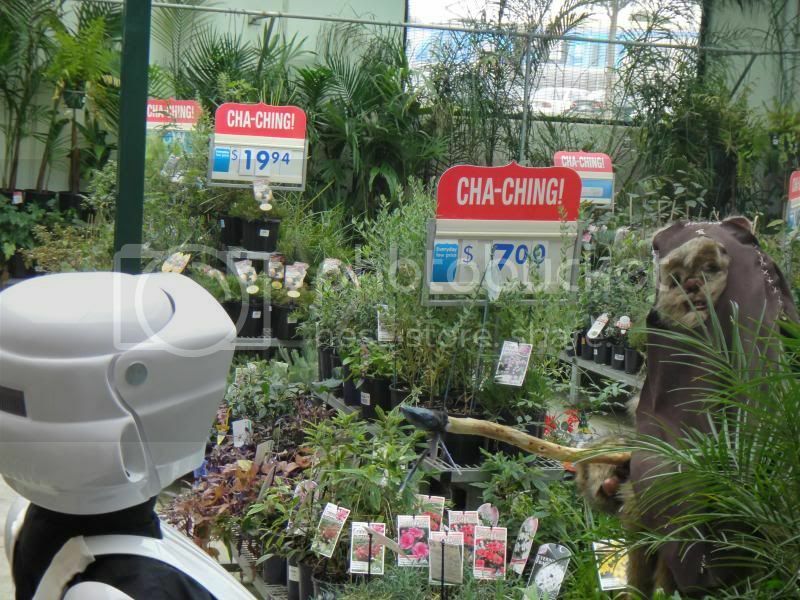 Here is my daughter's ewok attacking scouts in a garden centre. I made this for a 7 year old.